Southeast Alaska with three crew members on board. The U.S. Coast Guard announced, on Thursday evening, that they were calling off the search for the Guardian Flight air ambulance that was due to land in Kake on Tuesday night but never arrived. Coast Guard conducted aerial and maritime searches for 63 hours over the course of three days. They continued those efforts late into Thursday afternoon with the cutters Anacapa and Bailey Barco, as well as crews from Air Station Sitka and Air Station Kodiak, Search and Rescue teams from Kake and surrounding communities and volunteers. Together, they scoured 240 square nautical miles in an area 20 miles west of Kake. 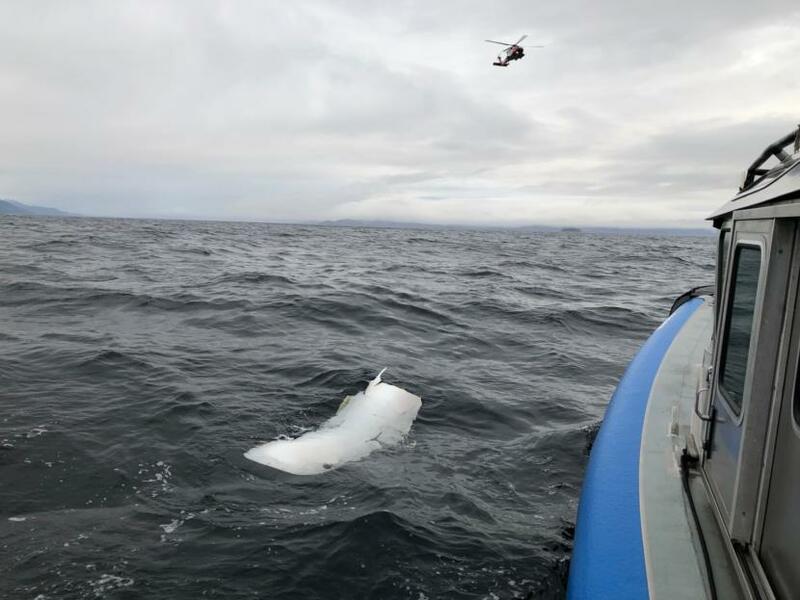 Chief Charly Hengen, public affairs specialist for the Coast Guard, confirmed that the debris found on Wednesday appeared to be from the Guardian Flight, but said that no other debris was found over the course of their three-day effort. That was one of several factors that led the Coast Guard to call off the search. A third day of searching for a twin-engine Beechcraft medevac plane that vanished Tuesday over Southeast Alaska has yielded no sign of the three crew members aboard. U.S. Coast Guard Cmdr. Michael Kahl said efforts by Coast Guard ships and aircraft have been ongoing day and night. Local rescuers have also been combing nearby beaches. Freezing temperatures and high winds are forecast in the search area around the community of Kake, where the Guardian Flight air ambulance was due at 6:19 p.m. Tuesday. Floating debris was found the next day in the search area about 22 miles west of Kake. Kahl said the National Transportation Safety Board will examine the debris being held in Kake. The Coast Guard commander said this search effects many in the close-knit community of first responders. The trio had left Anchorage and were bound for Kake to medevac a patient from the community’s clinic. Their plane never arrived, and signals from its electronic locating transmitter haven’t been detected. Kahl said the patient was later flown by another carrier. Guardian’s operations in Alaska remained suspended Thursday afternoon pending more information on its missing plane and crew. Guardian is one of three air ambulances operating in Southeast Alaska.